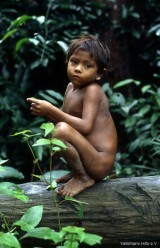 Yanomami-Hilfe e.V. is an officially approved nonprofit organisation. You will automatically receive your donation certificate at the beginning of the new year. Please do not forget to enter your full address when making a donation. Regular donations make it possible for us to plan ahead and to react quickly in emergencies. Instead of presents, you might want to ask for a donation to the Yanomami for Christmas, anniversaries, weddings, and other celebrations. 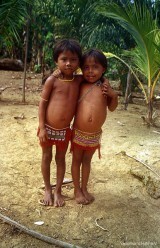 Many German schools organize charity events benefitting the Yanomami. (see Credits). You can also support us by contributing to specific items and equipment. On behalf of the Yanomami, we would like to express our heartfelt thanks to all our friends and members for their donations and their support.